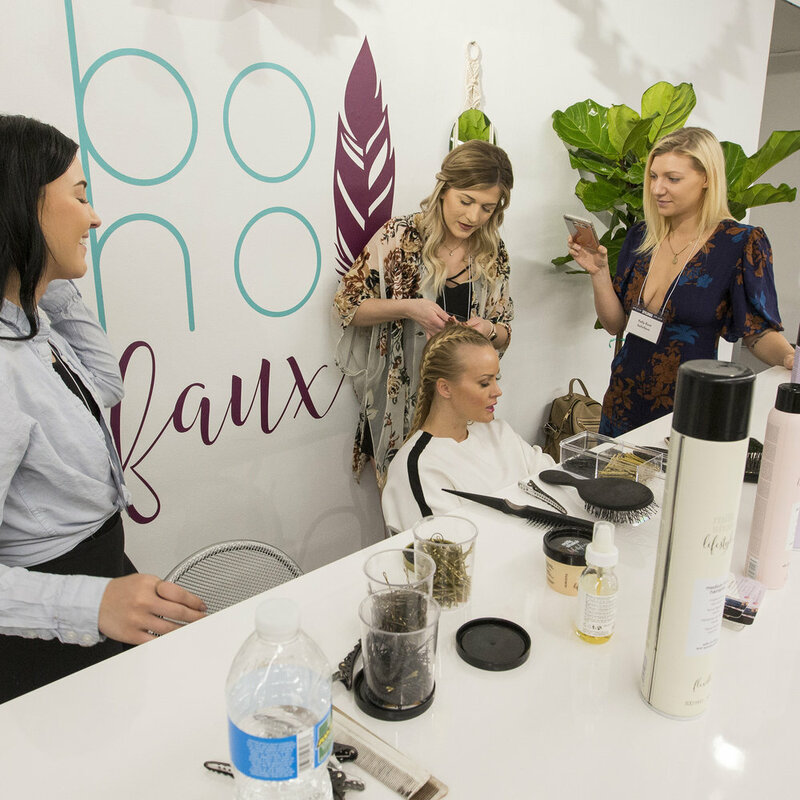 The brilliant bohofaux babes were on hand to beautify our buyers! They twisted up some stellar braids Sunday & Monday. 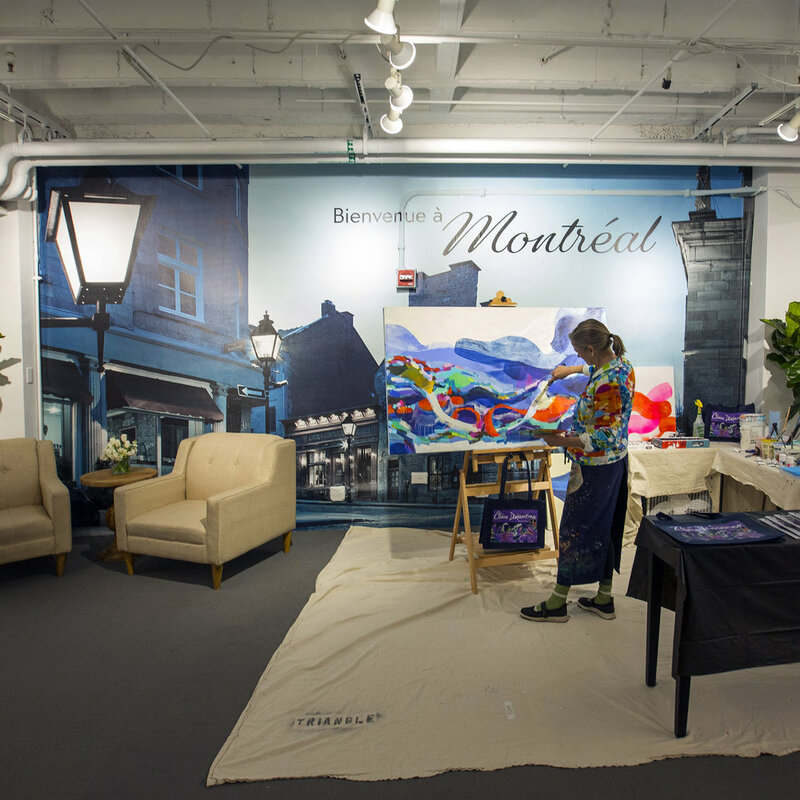 Fine artist Claire Desjardins of the eponymous line with Carré Noir joined us in the Montréal Collections Lounge to create one of her abstract masterpieces. The finished painting was raffled off on Monday! Four Life+Style and 1 Accessories brand stationed along the front aisle exhibiting good smells and fun baubles! 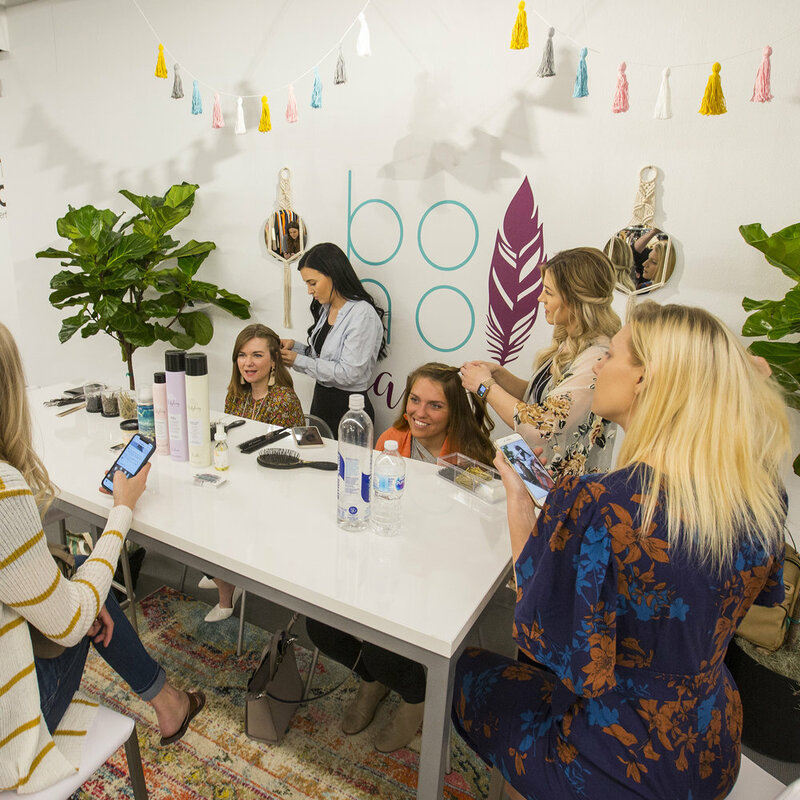 More than 30 brands from across the show floor sent in their most stylish pair for buyers to see and feel the breadth and quality of STYLEMAX denim! Thanks for tagging us - we’ll see you in July!